I received the following pictures and story from Hugo Sneyers, showing the long wave enhancement he found in the french EE20 kit. 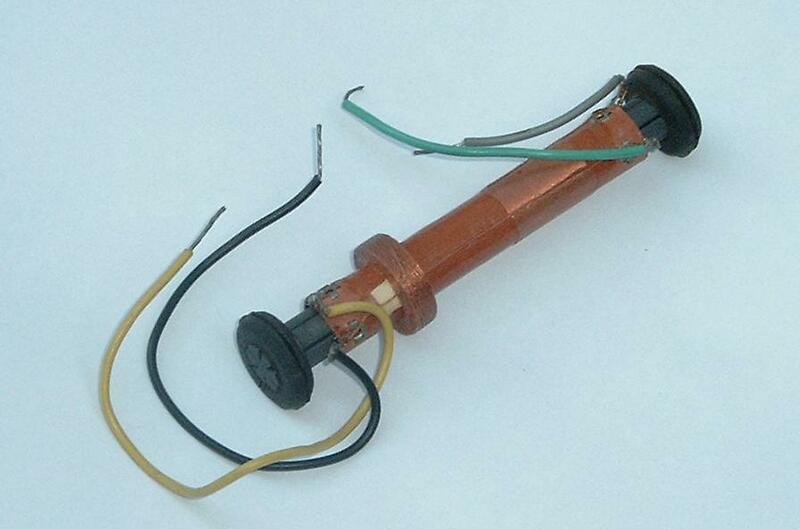 Hugo Sneyers acquired in 2005 an EE20 kit and found in the box an addition to the midwave radio experiments: long wave radio (‘GO = Grande Onde’, longwave, and ‘PO = Petites Onde’, midwave). Shown here are the two templates (watch the GO and PO as options at the switch) and the two loose pages. This is similar but not equal to the Long Wave EE1916 kit. 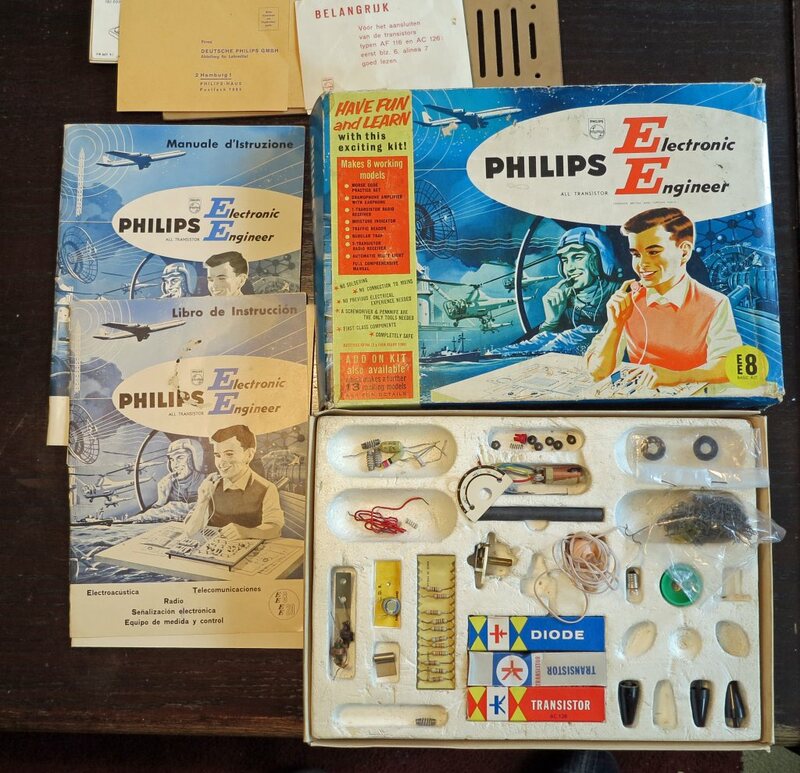 In fact it must have been the standard kit as delivered in France:The box was in good condition and barely used. There were 22 templates, and not only the templates with only midwave radio. Also the dial shows both midwave and longwave, contrary to the normal kits. 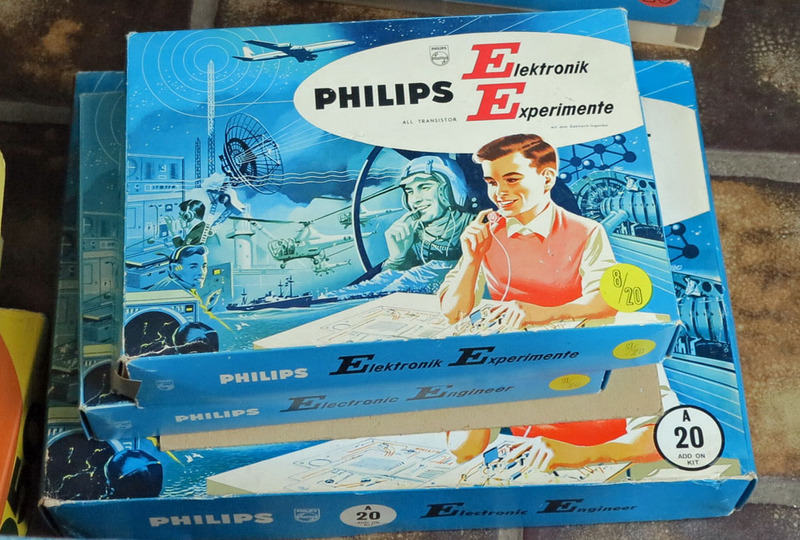 The text on the loose pages reads: “Votre boite de montages electronique EE est pret pour recevoir, les gammes Grandes Ondes et Petites Ondes” which can be translated as “Your electronic EE kit offers midwave and longwave reception”. The manual is the standard manual.